In brief: Researchers have developed what they say is the world’s fastest camera. Dubbed the T-CUP, it can capture 10 trillion frames per second, allowing it to ‘freeze time’ and see light in super-slow motion. Researchers from Quebec University’s Institute national de la recherche scientifique (INRS) and the California Institute of Technology (Caltech) began by looking at compressed ultrafast photography (CUP), which can capture images at around 100 billion frames per second. T-CUP improves on this technique as it’s based on a femtosecond (one quadrillionth of a second) streak camera that also incorporates a data acquisition type, which is commonly used in applications like tomography. 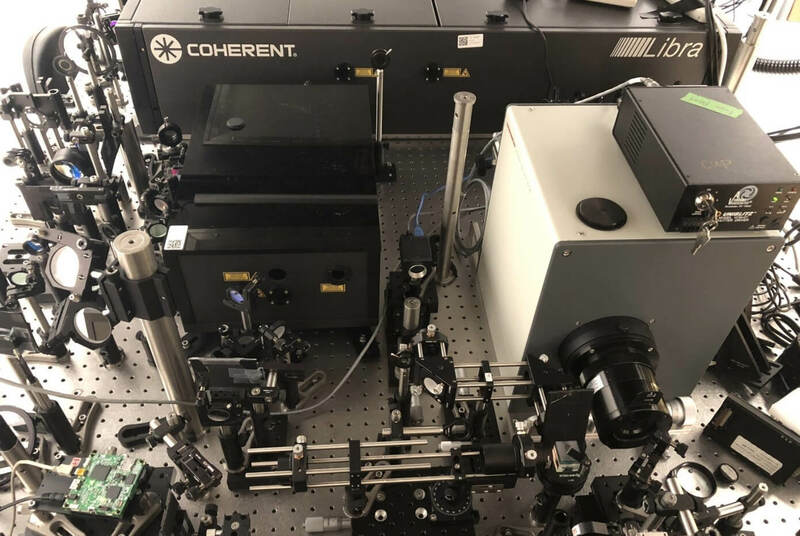 The new camera was able to capture the temporal focusing of a single femtosecond laser pulse in real time—a process that was recorded in 25 frames taken at an interval of 400 femtoseconds. It detailed the light pulse’s shape, intensity, and angle of inclination. Now that it’s set a world record for real-time imaging speed, T-CUP is expected to power a new generation of microscopes for medical and other applications.